Is there a sewing project you’d like to make but are a bit anxious about stitching on your own? 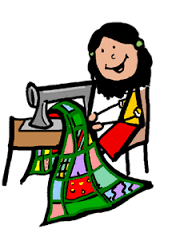 Maybe you’re a quilter and want to venture into garment sewing, or perhaps you have a class project you’d like some help completing. This class is for you! Step into Jo’s Stitch Lounge and work on your project with coaching from expert sewist Jo Leichte. Includes personalized instruction plus impromptu demos and discussions on a variety of techniques relating to class projects. Must take Sewing Fundamentals first. Requirements: Must take Sewing Fundamentals first. Instructor Bio: Jo Leichte - Jo couldn't decide what she wanted to be when she grew up - first she got her B.S. Engineering (with a minor in Theater to offset all those math and science classes) and then an M.F.A. in Design (to play with all the studio and woodshop tools). She stitched her way through all those many years of school - doing alterations, making costumes, sewing bridal and formalwear - and eventually landed at a little heirloom sewing shop that was also the local BERNINA dealership. She's been a BERNINA fan ever since. As Education Editor and Social Media Coordinator for BERNINA of America, Jo edited Through the Needle ONLINE magazine, Feetures, the Serger Technique Reference Manual, and many other publications, and co-hosted the WeAllSew blog. Jo lives in a cozy bungalow in the woods and shares her office with two foster dogs who protect her from (mostly imaginary) bears.